The Windows Phone 8 Start Screen is Microsoft's “marquee feature,” the company said Wednesday, as it unveiled the latest iteration of the screen in Windows Phone 8 and 7.8. The Start Screen with Live Tiles was already one of my favorite features of Windows Phone, but this new version is so much better. In fact, I’d go as far to say that it is the best looking Start Screen across the platforms. 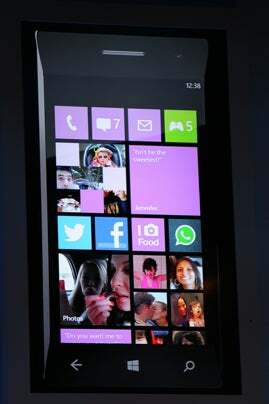 I got a close-up look of the new Start Screen running Windows Phone 7.8 on a Nokia Lumia 900 at the Windows Phone Developer Summit here in San Francisco. Unfortunately, I can’t get my hands on Windows 7.8 quite yet, but I did get some good first impressions. I love that you can easily resize tiles depending on how “important” they are by simply tapping an arrow icon on the corner of the app. You can choose from three different size options--small, medium or large--depending on how important that tile is to you. You also get to choose from multiple color tile themes including green, yellow, and purple. All developers will be able to customize how they want each live tile size to appear on your screen--even the large size. 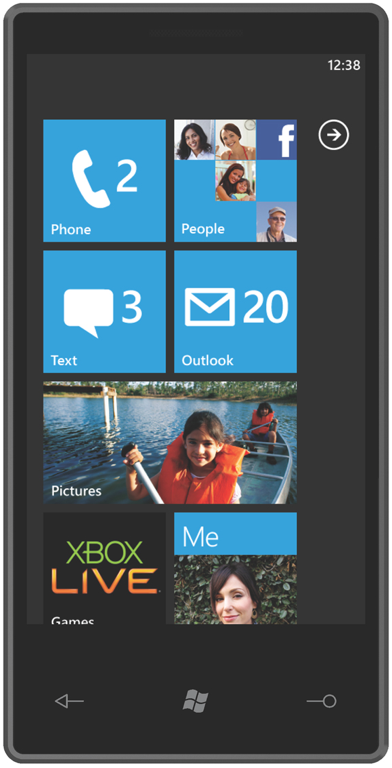 Right now, the large live tile size is only available to Microsoft, OEM, and carrier apps. If you want the game Spell It to be a large tile at the top of your screen, you’ll be able to do just that. You get way more space for pinning tiles, too, since Microsoft has done away with the right-hand empty space on the original Start Screen. Basically, you get complete control over your Start Screen’s appearance, which is what I like most about the new Start Screen. The Start Screen will ship on all Windows Phone 8 devices and will be available to legacy Windows Phone 7 through the 7.8 update.